If your family needs help paying for child care, rent, or food please visit ParentAware.org to find resources. 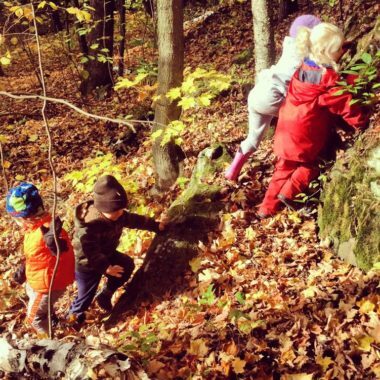 Nurturing Nature Play: Ten Tips for Parents from Green Hearts, Inc.
Why is Nature Play Important? 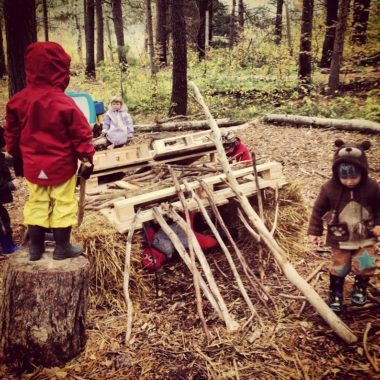 from Green Hearts, Inc.
Hartley Nature Preschool is a part of the Duluth Nature Play Collaborative which is lead by a group of educators who incorporate nature play into every day. 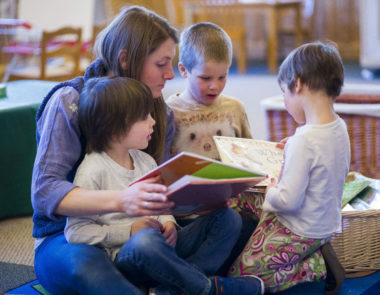 If HNP doesn’t fit your family’s needs check out these other programs in the collaborative including: Wind Ridge Schoolhouse, Kinderfarm, Secret Forest Playschool, and Little Barnyard Preschool. We love volunteers! Volunteers are welcome in our classroom and we occasionally need volunteers for special projects, such as sewing projects. Parents of currently enrolled preschoolers can contact the ir teachers for information on volunteering in the classroom. If you are a community member, college student, or other person interested in volunteering, please submit a Hartley Nature Center volunteer application and indicate your interest in working with our preschool program. Find a volunteer application here. 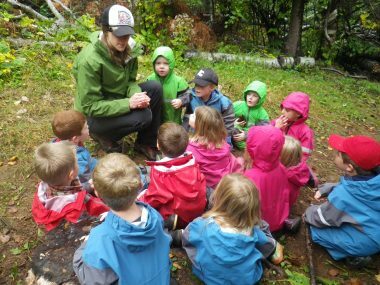 Is working with preschoolers outdoors in all seasons your dream job?! ​Hartley Nature Preschool is currently hiring substitute teachers. If you are interested in being on the sub list, please submit a cover letter and resume to Kaitlin, the preschool director, at psdirector@hartleynature.org. Hartley Nature Center is often hiring Environmental Education Interns. Learn more here.